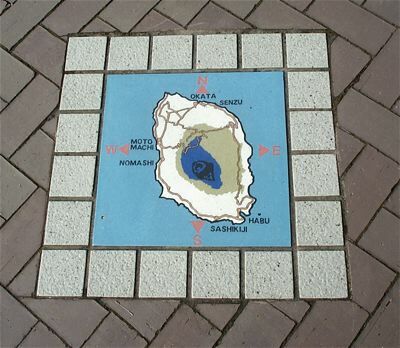 Map of Ohshima tile set into a Moto Machi sidewalk. Mayumi and I took a walk through Moto Machi, Ohshima’s largest town, and discovered a few of its treasures. 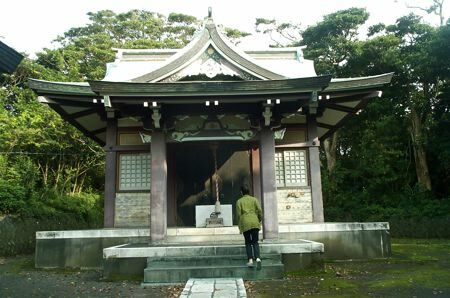 Mayumi led me up a steep staircase (so steep there were ropes to hang onto) to pray at the local Shinto shrine. 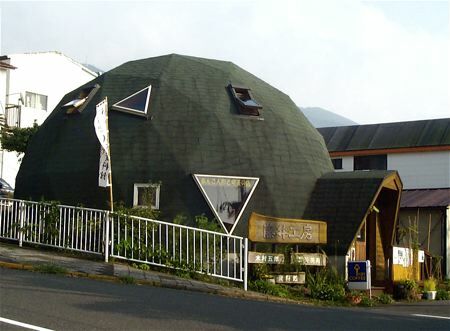 We passed a geodesic dome tea house that also sells handmade gifts. 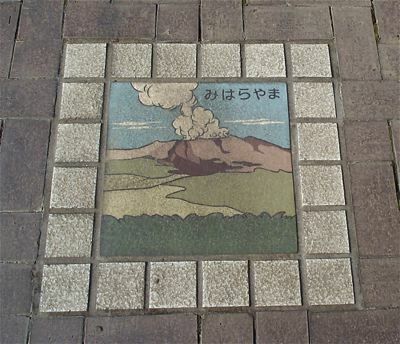 Like Puna, Hawaii, where I have lived most of the past five years, Ohshima recognizes its active volcano as central to its identity. 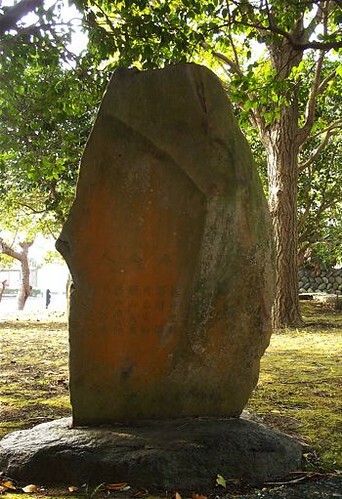 This wonderful ancient carved stone stands in a public park. 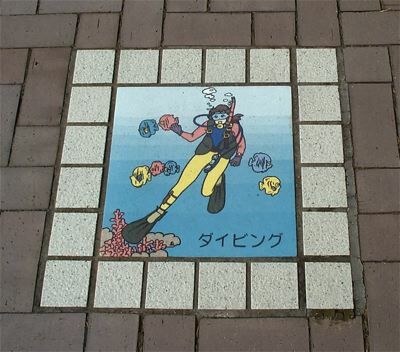 Also like Hawaii, Ohshima loves the underwater world, as witnessed by this sidewalk tile.